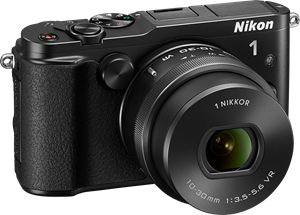 The Nikon 1 V3 is the flagship mirrorless camera from Nikon. The body features external controls and programmable custom buttons for easy manual adjustments, and in the USA it is kitted with a removable hand grip (GR-N1010), electronic viewfinder (DF-N1000) and a VR 10-30mm f/3.5-5.6 PD-ZOOM lens with a 27-81mm equivalent. 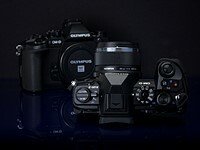 The final package is pricey, but among the most capable sub-M43 kits available. The V3 is built around an 18.4 MP CX-format sensor, and uses a hybrid contrast (171 points) and phase detect (105 points) AF system. 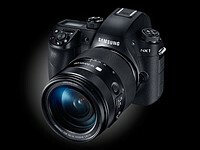 The V3 boasts a continuous shooting speed that outpaces DSLRs at 20 fps with full autofocus. "The twin dials, customizable function buttons, and 18MP 1"-type sensor with no AA filter, should be enough to make some advanced shooters give the V3 serious consideration." 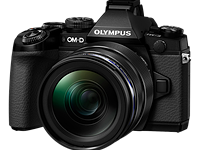 The camera is also capable of 1080/60p Full HD video, includes built-in Wi-Fi connectivity, and a new touch-panel tilting LCD display. The body of the V3 is comprised entirely of metal, and build quality is excellent. We were impressed with the camera’s continuous AF speed and accuracy. 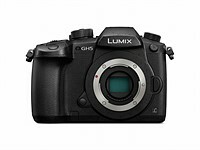 Image quality on the other hand while good for a 1in sensor, is not in the same realm as competitors sporting Micro Four Thirds and APS-C sensors. It’s also hard to ignore the 1 V3’s relatively high MSRP compared to its larger-sensor peers.